When a scientist's claim of proof of the afterlife causes a global suicide epidemic, his estranged son seeks him out. For anyone who believes movies belong in cinemas, Netflix is an increasingly worrying prospect, given how the streaming service seems to have given up on the idea of releasing their own films on the big screen a couple of weeks before they debut online. Yet to date, with the arguable exceptions of Beasts of No Nation and The Siege of Jadotville, none of their original productions have been of a quality that might justify a cinema release. 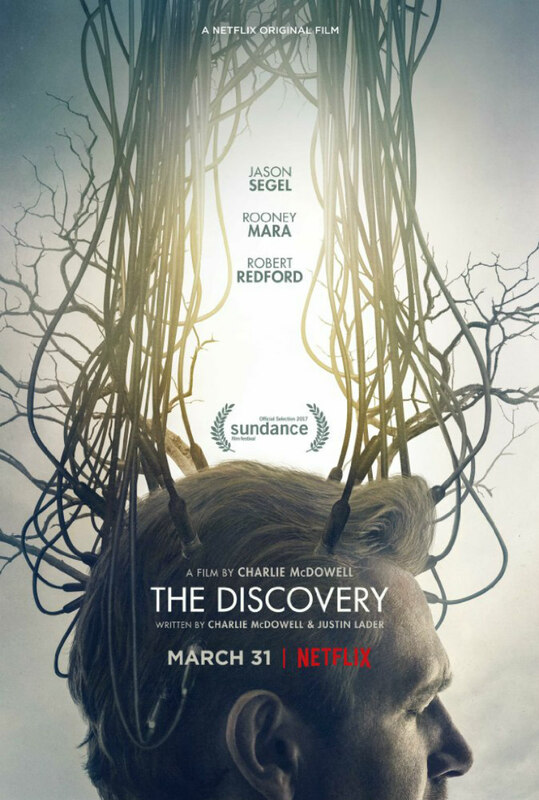 With a stellar cast headlined by Robert Redford and Rooney Mara, and a high concept sci-fi pitch, Charlie McDowell's The Discovery initially seemed like it might be the first Netflix movie thoroughly deserving of a theatrical release. The truth however is that more so than any other film produced by the streaming giants, The Discovery is very much deserving of the label 'TV Movie'. It opens in intriguing fashion. Scientist Thomas Harbor (Redford) is being interviewed for a TV show six months after announcing his discovery of proof of the afterlife. Immediately following the conclusion of the interview, a camera operator pulls out a gun and blows his own brains out. Harbor's discovery has led to a global suicide epidemic, as millions decide the next life can only be better than their current existence. Believing his father's claims false, Harbor's estranged son Will (Jason Segel) pays a visit to his secret facility in an attempt to end the rash of suicides. The small screen is sadly all too fitting for The Discovery, a film that plays like an overlong yet under-developed episode of an Outer Limits / Twilight Zone sci-fi anthology show. It's highly derivative of several sources - Flatliners, Martyrs, even McDowell's own The One I Love - while failing to explore its own central hook with any depth. It's a movie that seems distracted by the lesser of its subplots, an improbable romance between Will and a young woman he 'saves' from suicide (Rooney Mara), sidelining the far more fascinating Harbor and wasting the presence of Redford. The script relies far too much on dialogue to advance the story, with a final twist delivered in the clunkiest of fashion as one character verbally twist-splains the plot to another. The movie is shot in the widescreen 2.35:1 ratio, an odd choice for a film destined to be viewed primarily on laptops and tablets, and it's a superficial choice for such a visually uninspired movie. Watching the performances of Segel (morose and practical) and Mara (morose and kooky), it's impossible not to think of Jim Carrey and Kate Winslet in Eternal Sunshine of the Spotless Mind. 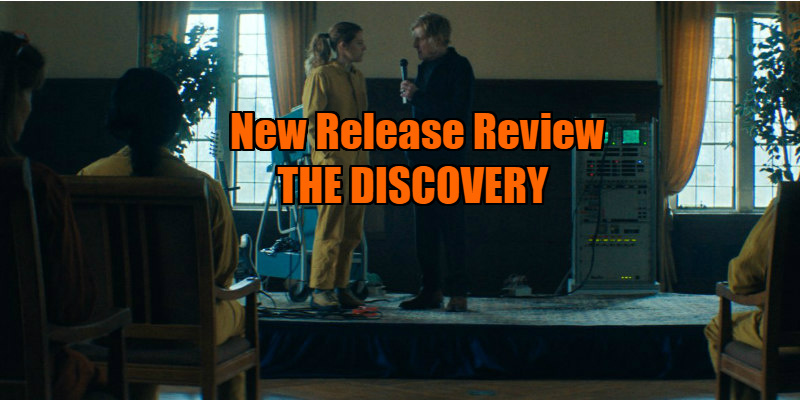 The Discovery would benefit greatly from borrowing that movie's comic tone rather than just its melancholy veneer. The wait for the first great Netflix original continues. The Discovery is streaming on Netflix now.